me when i know how long this post is going to take. i'm literally having a mask on my face. I put frustrating because I want it to be sort of like a clickbait but alas, I feel guilty, so I'm explaining the "clickbait" in the very first paragraph. However, since I have now found those said picture - here is my before picture. It turns out that my acne is far worse than the picture I originally thought going to present best as an example. Oh well. 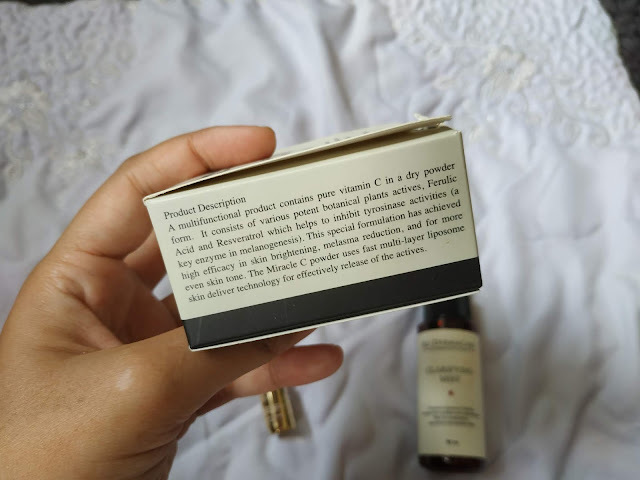 If you read my post about Aiken (look at my sidebar, it is literally the only post that is popular in this blog), you will see that I have an acne prone skin. If it was mild, Aiken and a really well-disciplined skin care are enough. But if I have a bad breakout (usually during stressful times) it is just so so bad. The last time it does is during my final year. At that time, a lecturer of mine had offered to give me a referral letter and got me the treatment I needed (yay pharmacy school). 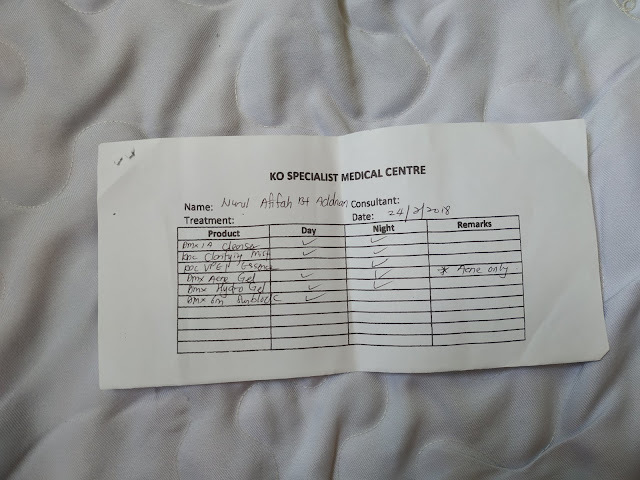 I managed to get medicines from PPUKM but due to money and times issues, I didn't complete the treatment (still regretting it till this day). 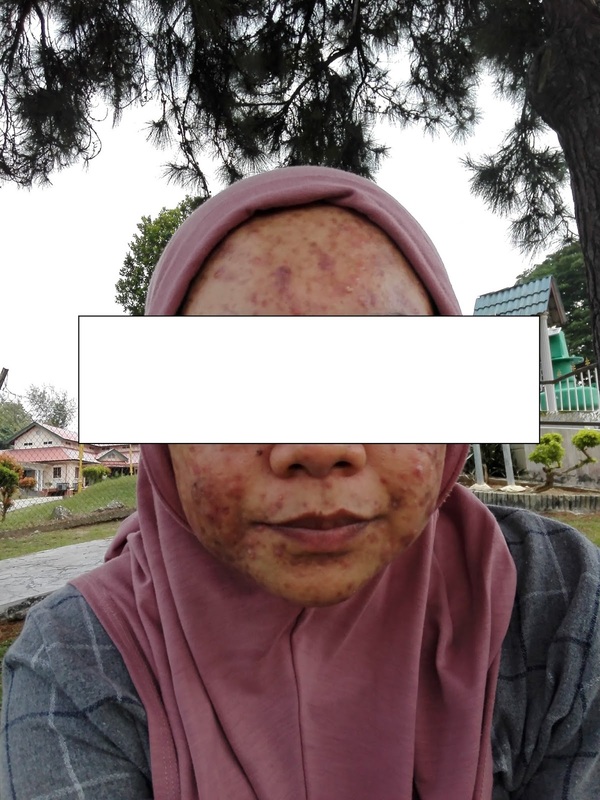 What happened is that, even though my acne got resolved, I still didn't complete the treatment. This means that there is a high possibility for recurrence. But I thought, I'm not studying anymore = no awful stress = no breakout. Oh boi, how wrong was I.
PRP is wayyyyyyyyyyyyyyyyyyyyy stressful and the breakout happens in a jiffy. Seeing that now I have the money and a bit of time, I decided to get back into treatment and I choose to go to Dr Ko Skin Specialist Clinic. Yes, Dr Ko is expensive, but it is the closest and most easily accessible for me. But most importantly it works. In light cases of acne, doctors will suggest good skin care. If you went into skin specialist, they will have the kind of skin care they want you to use. In my case, Dr. Ko has their own line of skin care products. 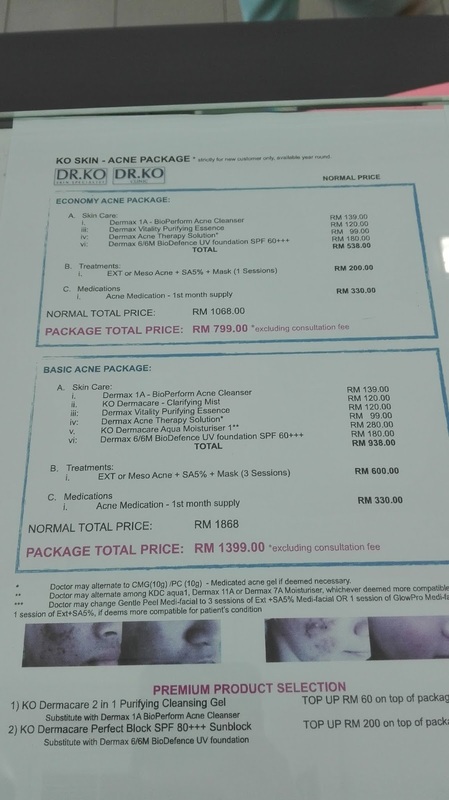 But these are from an actual dermatologist - so mind you that it will cost a lot. 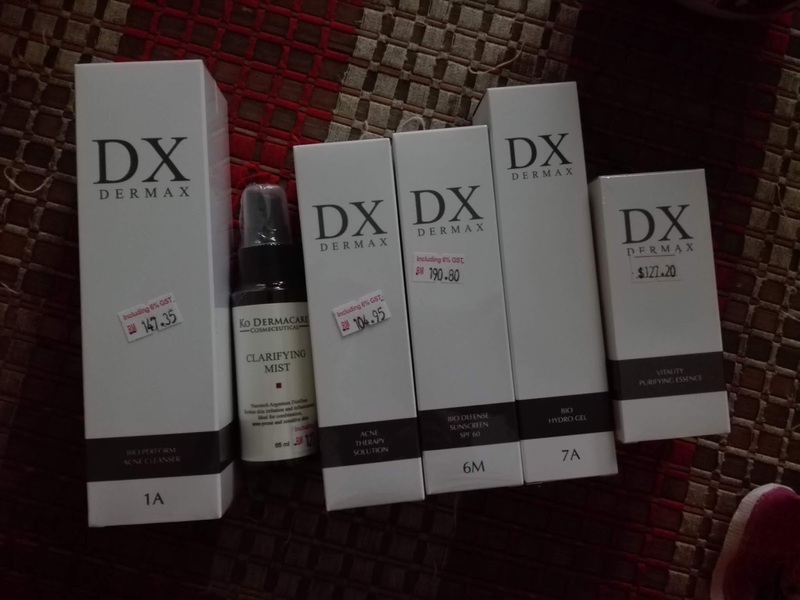 Mine cost almost a hundred per bottle (cleanser, toner, moisturizer, etc). If you have few more acne of the more bad ones, a topical spot acne treatment will be given, like benzoyl peroxide cream or isotretinoin cream. If it is even worse, an antibiotic is needed. Step up the worseness a bit, you will be given isotretinoin capsules. Some may need hormone drugs though I'm not sure how you are qualified for one. However, this is a very general description, it is better for actual doctors to check your acne especially if it is a really bad breakout. But in my case, I have all of the above. That's how bad it was. Or probably Dr. Ko been giving the same treatment to everyone. That's the thing about private clinics. I went to them, talked about my problem and how I used to be on isotretinoin. It was decided that I take both isotretinoin and antibiotic. Attention girls! Both medicines have a negative effect on babies, and I think you have to stop the medicine for at least 6 months before planning on having a baby. I'm not sure about guys though. Here's the funny thing, like most private clinics, they didn't label the medicine. It is actually illegal that your medicine isn't labeled as detail as it should be (the names and strength at least). Now that you know, always ask them to write the name of the medicine. Learn more about what you put into your body! For my first day, I went for a consultation with the dermatologist (of course it wasn't Dr. Ko) and bought myself this package. If you take only the medicine (if you got treatments from a government hospital, we only gave the medicine, get your own skin care products), it will take longer for your acne to resolve. But in my case, I used all the products and went for their extraction. My acne greatly reduced in 2 months that even the staff at Dr. Ko was amazed. 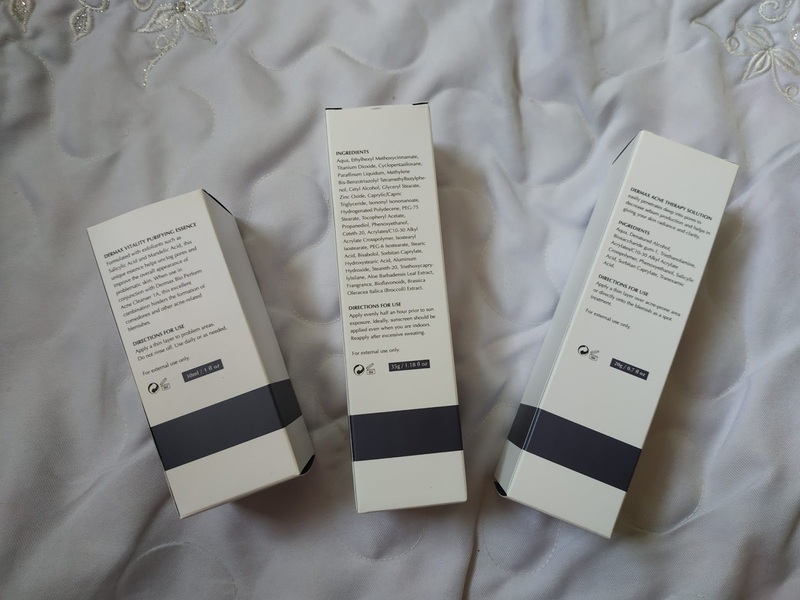 I was then able to use the Vitamin C powder (since my skin does not have much acne at the time) and it works so good to lighten the scars and overall makes my skin simply looks healthier. Did I tell how satisfying the extractions are? I hated doing extractions because I know it will helps a lot but the facial spa I've been isn't as hygienic as I need them to be. It only causes more acne thus I stop going to one. Since I have sensitive skin, a swap with alcohol swab only won't do. The staff in Dr. Ko not only have a good extraction technique, the process was meticulous and just so hygienic too. Not to mention, the use of that salicylic acid plus the mask afterward really works wonder on my skin thus the effects of extractions were greatly reduced. It was so painful though since I have lots of cyst but that staff that did my face, you are officially my MVP! Let's talk about their skincare products that I used. First, we have the cleanser and the moisturizer. Since you will have a bad dry skin (the effects of isotretinoin), a moisturizer is a must. Next, we have two producr that aims especially for acne. First is the spot treatment plus an essence/serum. A sunscreen and next is like I have said before, when the acne resolved, I also used their Vitamin C powder. Of course, the antibiotic is twice daily and the isotretinoin once daily. Both will cause you around RM300 per month but once you stop needing the antibiotic, it will cost around half. Isotretinoin has drying effect (that how it works, it dries out the oil and generally the skin so the acne doesn't have a good viable condition to thrive) so it is better to take before sleep instead of living the day feeling annoyed at how dry your lips are. Since I know I will have a dry chapped lips, I get myself Nivea Lip Care Butter. Lip balm won't be enough and I always love Nivea product. It works so well too and the packaging was too cute lol. There isn't much problems with antibiotics but long terms used might cause diarrhea which is just awful. the order of wearing it is from top to bottom. allows to dry before applying the next product. That bottle is the (1) cleanser. The box at the left is the packaging. The box at the right is the (2) moisturizer. Feel free to study the ingredients and you'll know why it is damn expensive. Totally loving these. 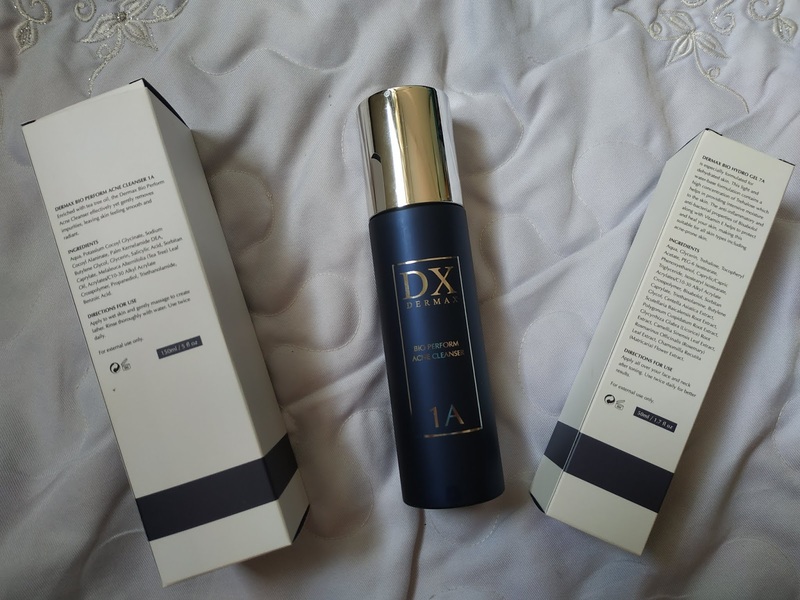 The cleanser is so light but still foamy and I have strong reason to believe it works to treat my acne so I repurchase another bottle when it finishes. It was the only one I continue to use since I know Aiken works on me (plus Aiken's cleanser is too harsh for me while I don't like how Cetaphil does not have foams). I don't want to be spending hundreds more money on skin care. The moistuzer is also a wonder but I must say it works like how Aiken moisturizer works on me so I just use Aiken ones now. The left one (3) spot treatments in gel form. Meaning to treat the acne by spotting it on acne. The right one is (4) a face essence but caters those with acne problem. These are also very important in treating my acne. But since my acne resolved quite fast, I still have the cream. It works so well and fasts. If I even have the slightest bit of acne, I dab that cream and it will resolve in two days tops! The middle one is a (5) sunscreen. Sunscreen is important but to spend such fortune for one feels so wrong. Although mine come with the package though. The (6) toner is in mist form and that small bottle is the (7) Vitamin C powder. I bought the powder separately, it wasn't included in the package. Cost me almost a hundred for that small bottle but it lasts about a month and gave impressive result so I don't mind it the slightest bit. I think the Vitamin C powder works so well due to how it was formulated which gives it the ability to really be absorbed deep into the skin. I'm sorry the picture is a bit blurred. Oh yeah, you need to mix the powder with the moisturizer and then apply it onto your skin. Pro tips - Dr Ko hardly does sale. That's how good they are. But on your birthday, you can get crazy discount. I bought my second cleanser at half price and they have book one free one facial treament. expensive AF but it works amazingly so it is a money well spent. though i seriously thinks there are plenty of good products that work just as good but not as expensive. Two months after. Lots of dark spots. Most acne has been cleared. By this time, I have finished the three extraction session. It was done every two weeks. I just started to use the Vitamin C powder. I am also still using all the skincare products. Almost a month after using the Vitamin C powder. As you can skin, my skins brighten quite noticeably. The darks spot seems healing as it turn pinks. 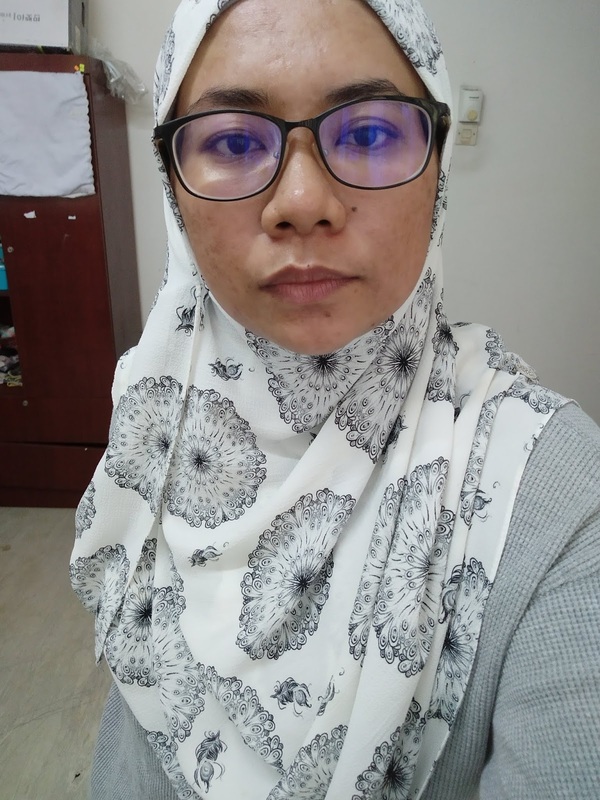 Some staffs start to mentions how my skin looks so much better. well excuse my big nostrils and I don't even understand why I have this picture but this is during eid. about four months after starting treamtent. THIS IS WHAT I CALL A GLOW UP. and we are closing this with my latest selfie. barefaced but with MaryKay sunscreen. We'll talk about that later. 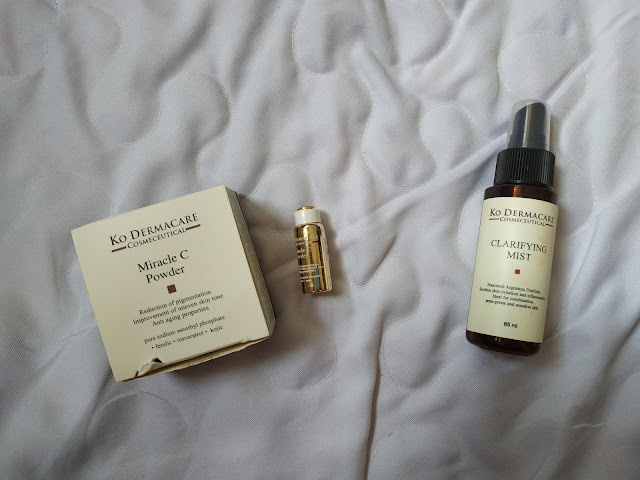 Remember, the fact that Dr. Ko really works well is due to the medicine (there are plenty of clinics that can provide the medicines) and their amazing products (but there are good products that work well and cost less or you can try other products from other skin clinics/medispa). 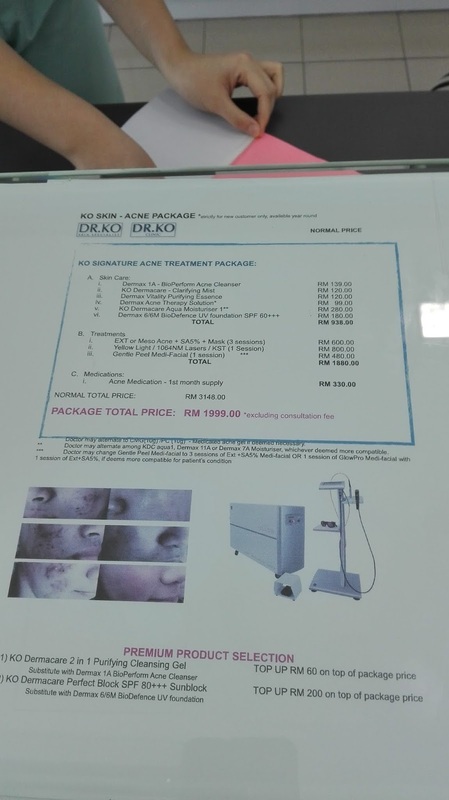 But Dr. Ko is a well-established brand in Malaysia thus it is easily understandable why it is a popular choice. I still have those deep scars but not really that deep but still deep which can only be treated with laser treatment. I was thinking to do laser treatment as well but I think I'm satisfied with my current skin. I think the idea of a complete flawlessness is not Afifah so nahh. I might change my mind though. I only use the cleanser nowadays. Plus, I still ate the medicine. I'll share my new skin care in the future and the condition of my skin before, during and after the horrible acne. i'm glad i can help! if you need more info and your sis want to talk more, just dm my twitter ok? 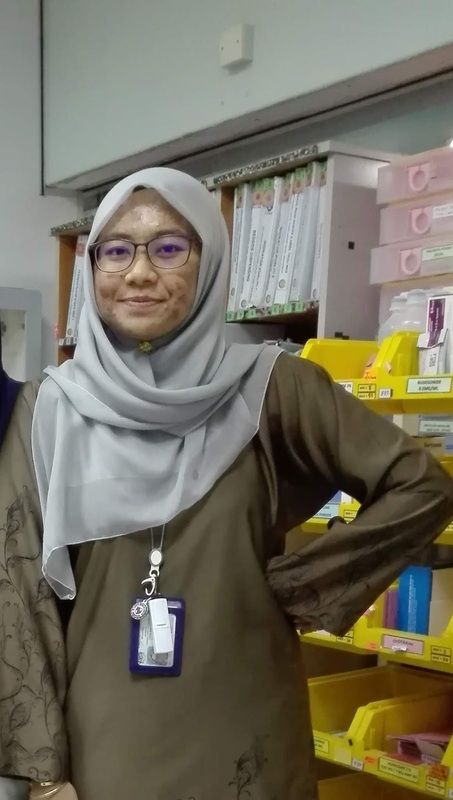 Kalau kak pip mesti dah nangis banyak bila kulit mcm ni .. Treatment pun mahal juga cecah ribu .. I am glad the treatment works on you. betul tu. tapi im glad im not that troubled. i never actually menangis la. lol. I have some friends with almost the same problem too, its take time for them to find the solution and I do know the struggle. Glad you've found the solution! an expensive one too lol. but what matters is that it works! 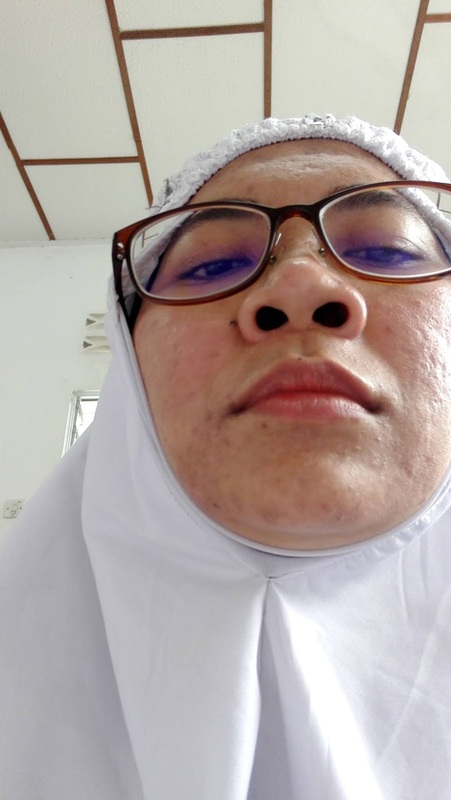 wauu.im shock at first seeing the face condition. 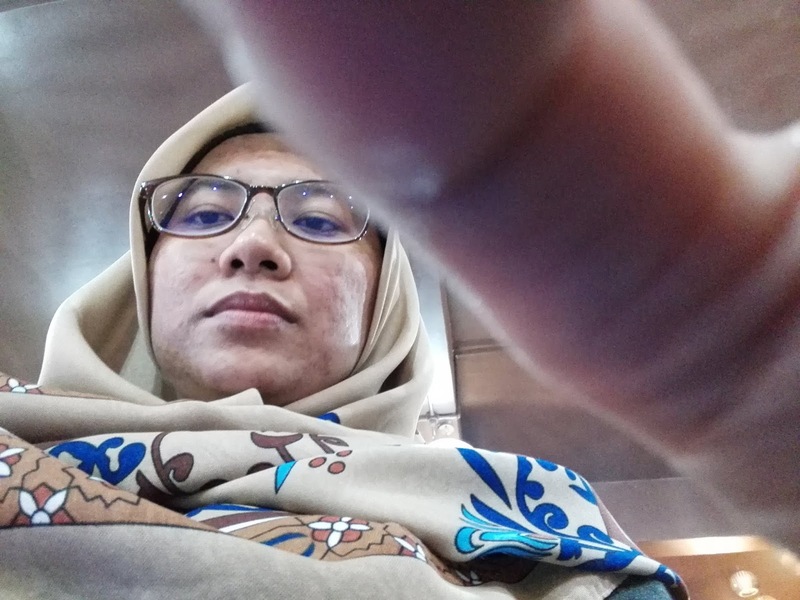 alhamdulillah u getting better and get good skin at last. 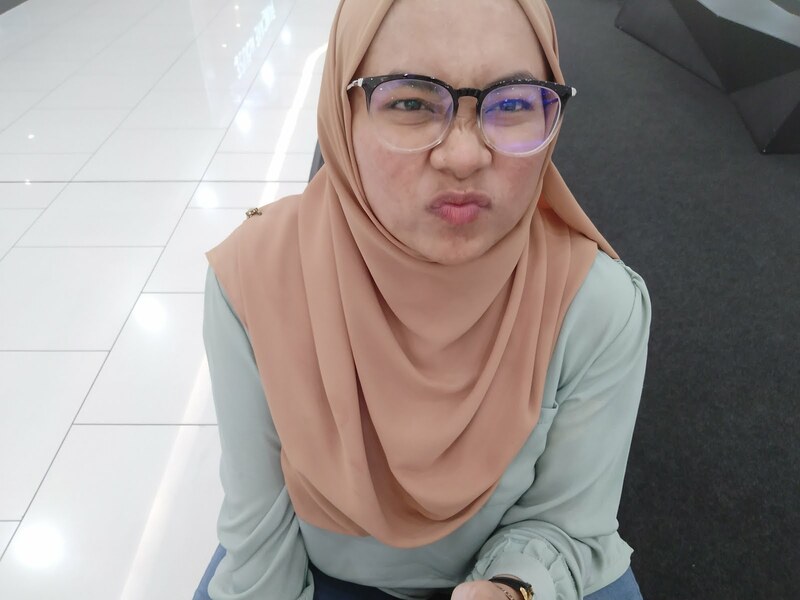 im still struggle with a little breakout bcos of not enough rest and sleep. that's mild enough but girl you gotta up your skin care routine if the sleep and rest going to be a constant issue.